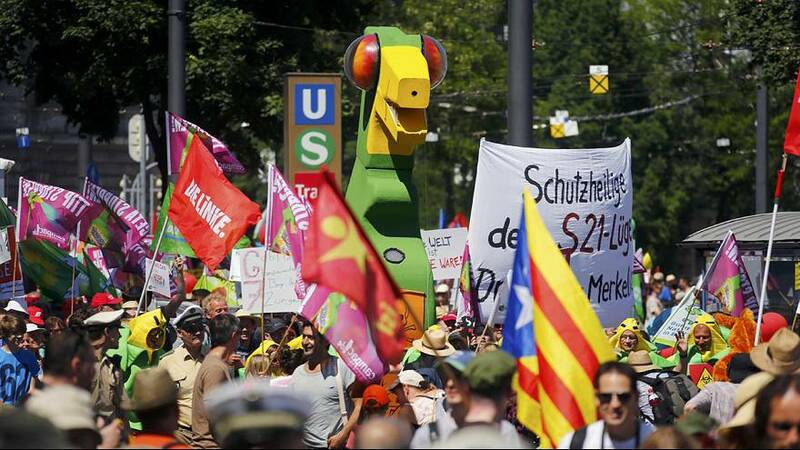 More than 20,000 protesters gathered in the German city of Munich on Thursday against a G7 summit that will be held in the region this weekend. The rally has so far been peaceful, bringing together activists defending various causes, from anti-globalisation to peace, ecology and human rights. Further south, about 300 protesters have already set up camp in the ski resort of Garmisch-Partenkirchen, about 18 km from the castle of Elmau, where the summit will be held Sunday and Monday. Around the area, preparations were underway to enforce the security of the world’s most powerful heads of state.